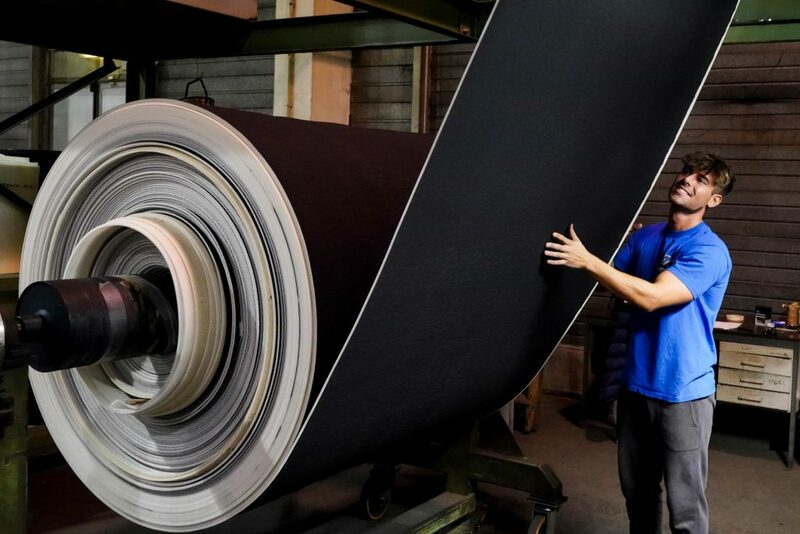 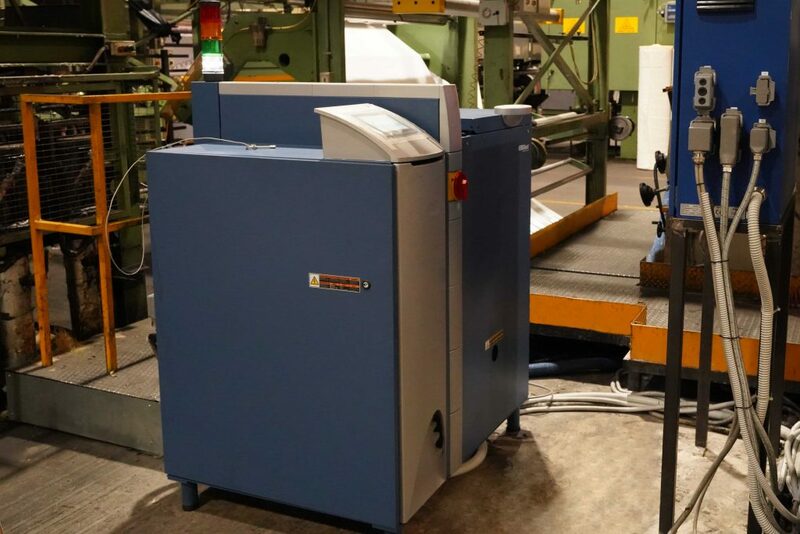 To meet the needs of an increasingly "technical" market, our most advanced line is a Hot Melt system that uses a flat-plate fuser for the use of "reactive" polyurethanes. 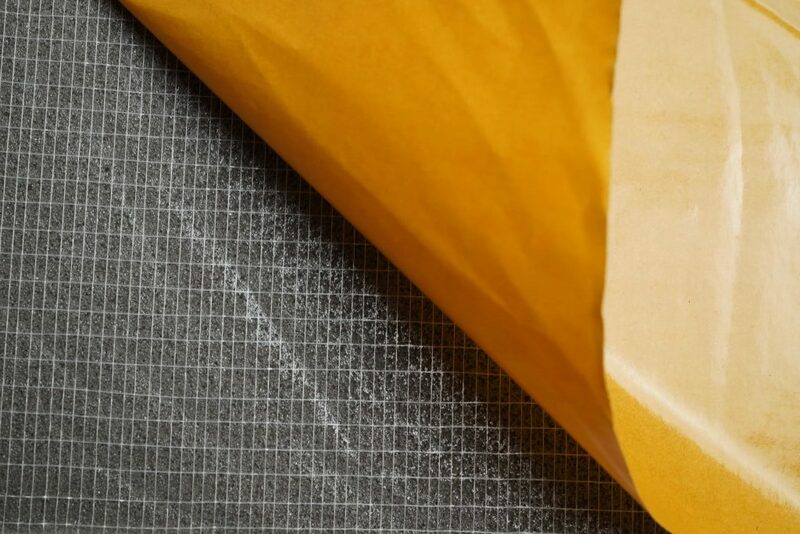 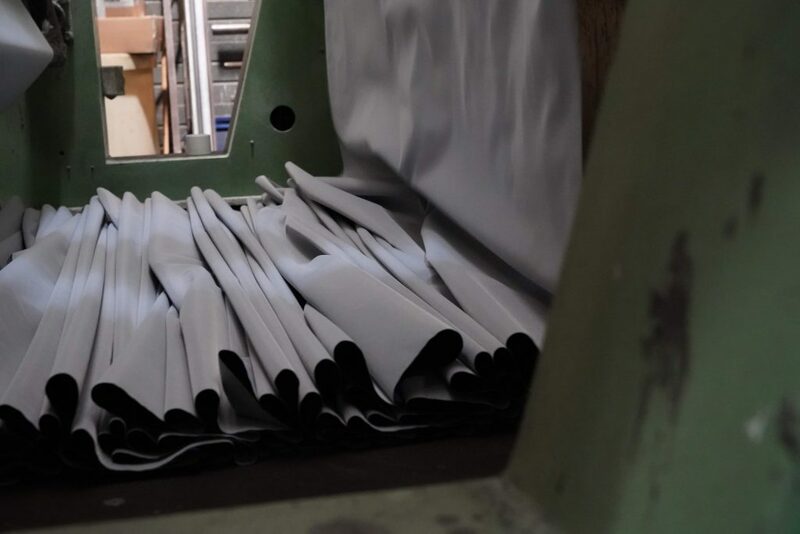 This type of system lends itself to the production of breathable and waterproof membranes, and extremely performing couplings in terms of resistance to temperatures and washes, in addition to barrier film couplings. 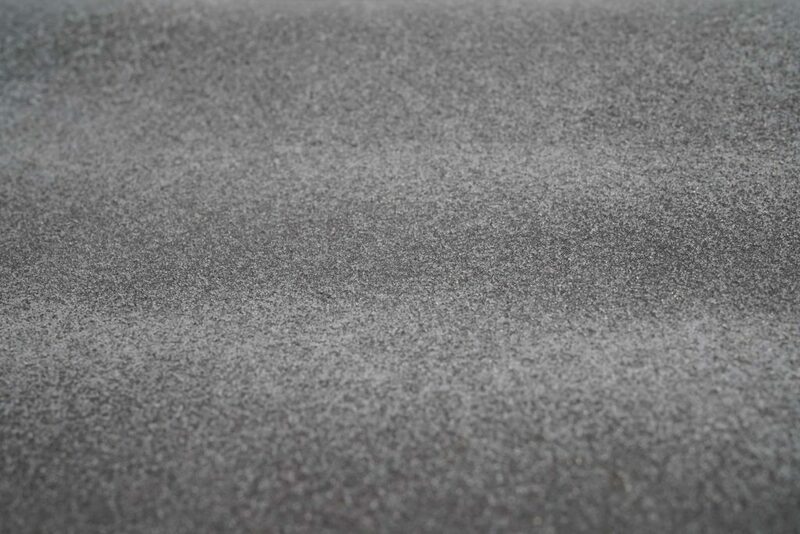 The maximum light of this system is 228 cm with full-field coating or with spot-wicking. 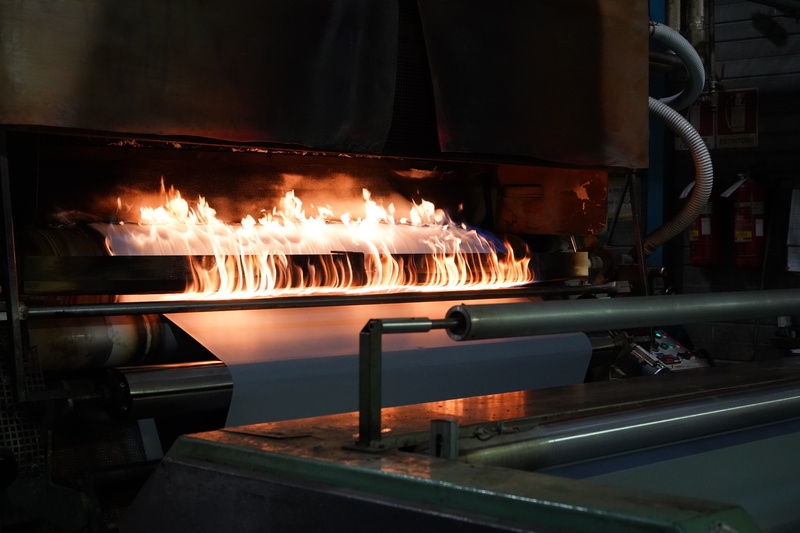 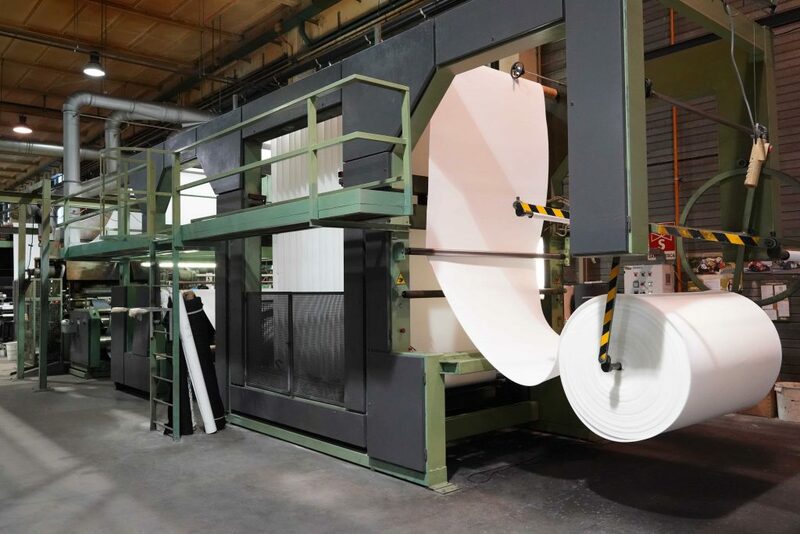 Our traditional Hot Melt line uses reactivable resins, offering self-adhesive and thermoadhesives on any type of material with protection in paper and siliconed polythene. 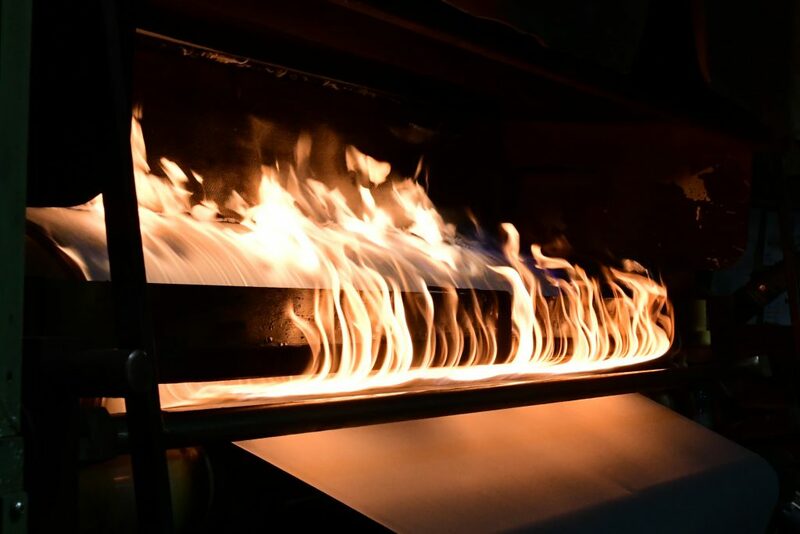 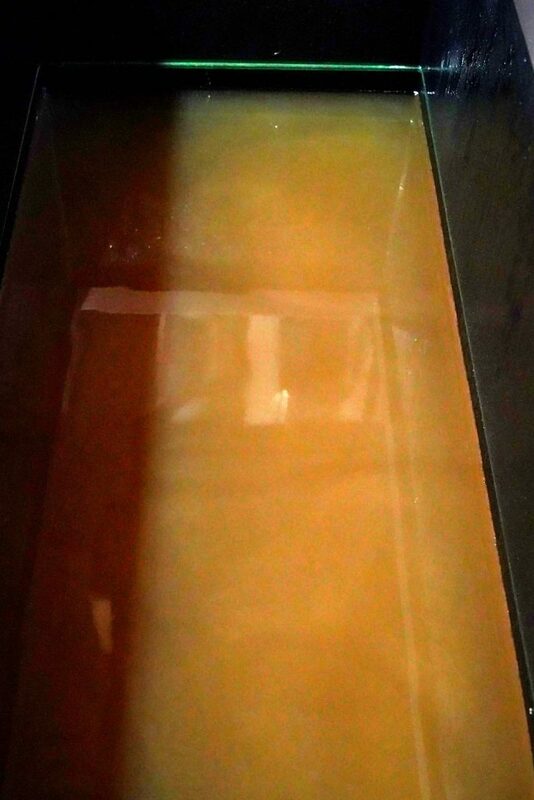 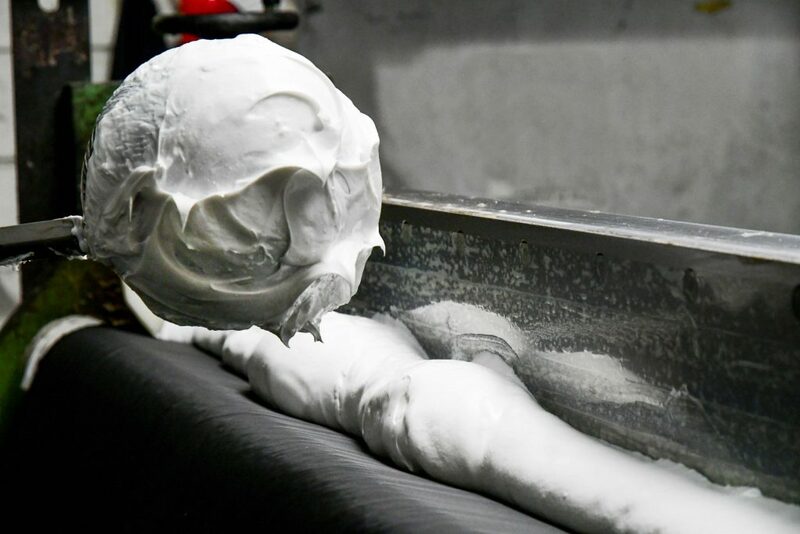 Our flame system, with a “non-stop” processing system, makes it possible to couple the most varied materials to polyurethane foams, which when melted act as glue. 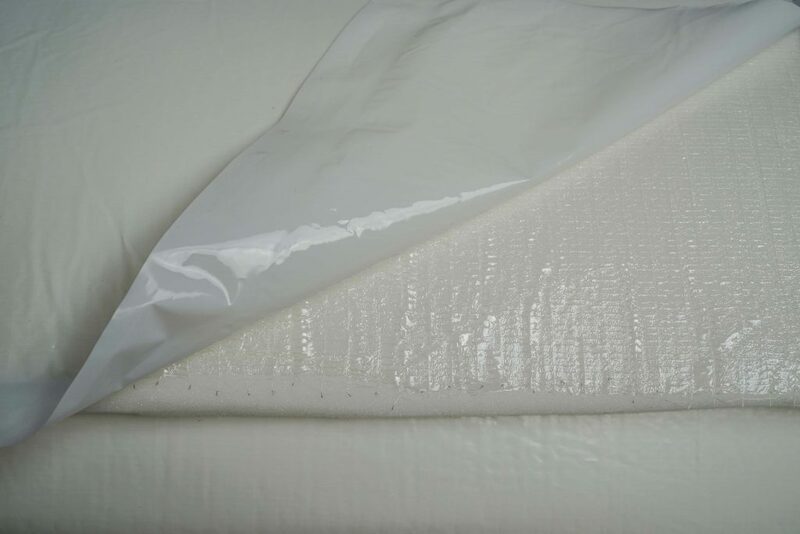 This process is very fast and does not require the use of chemical adhesives. 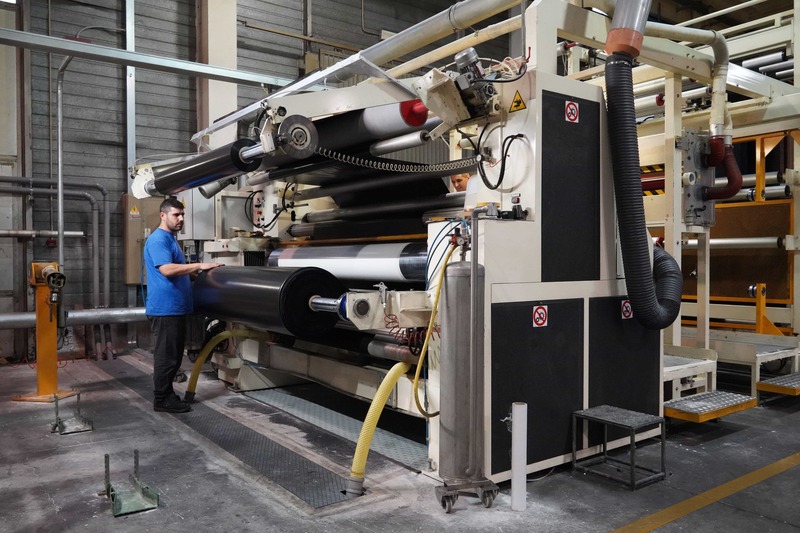 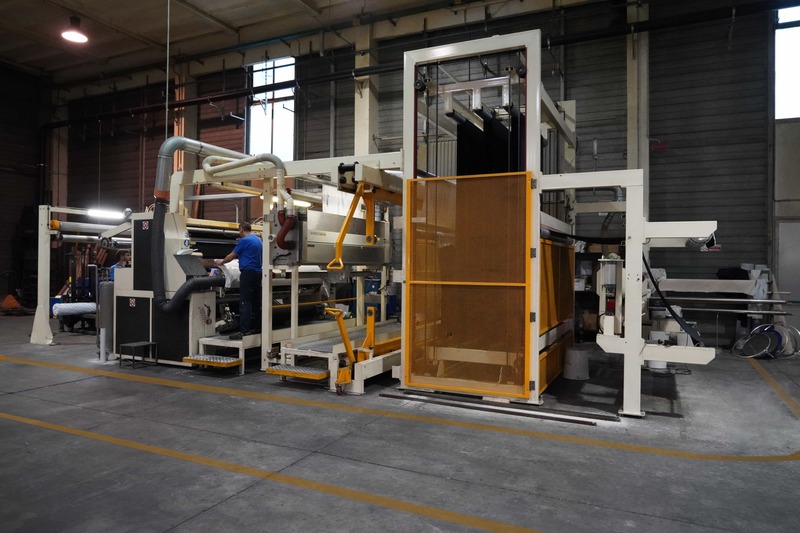 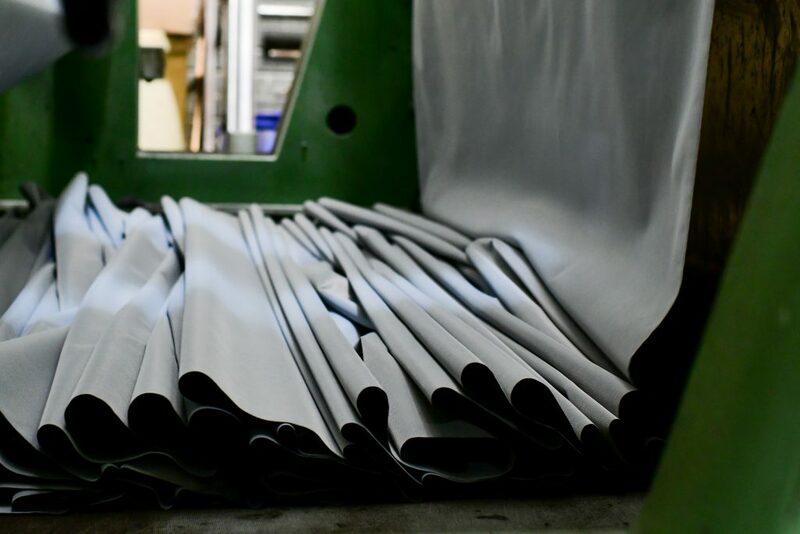 Among our plants there is no shortage of traditional laminating lines that use acrylic glues and that meet the needs of markets where no particular performance is required, or the needs of small productions. 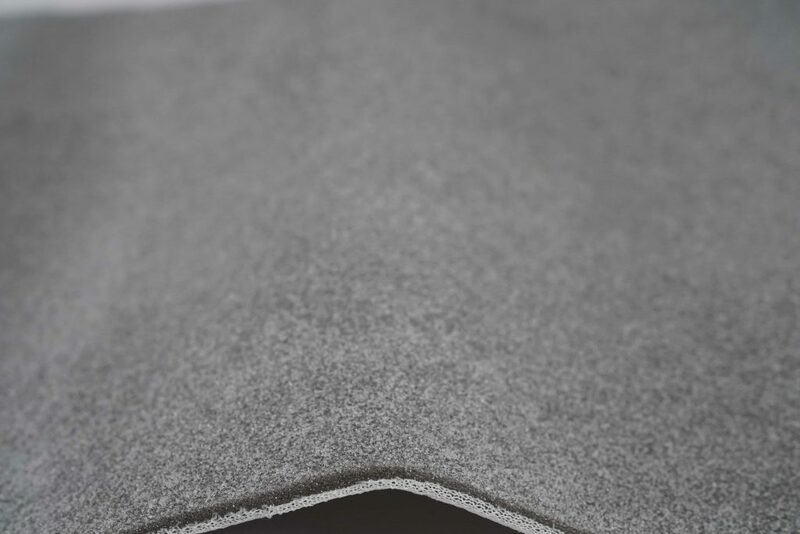 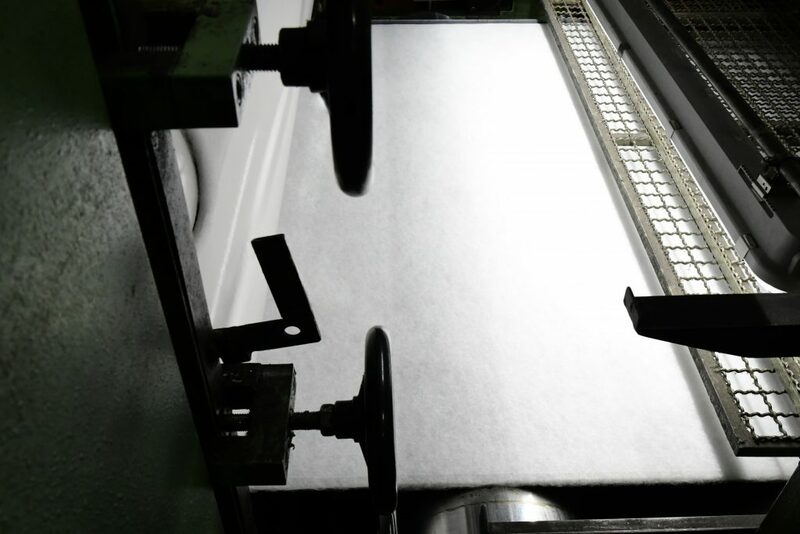 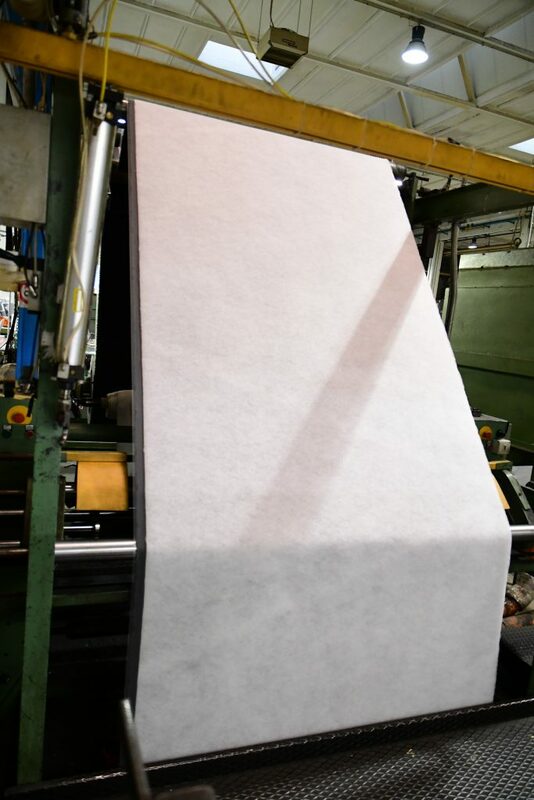 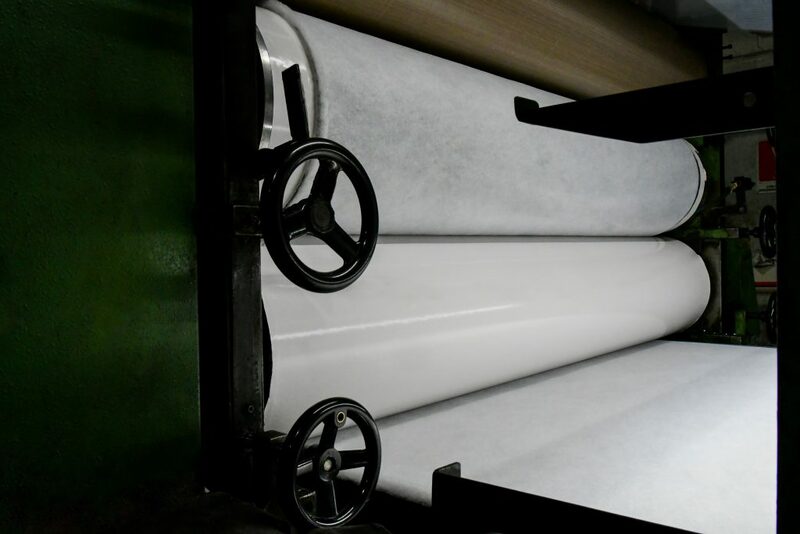 Among our lines we also have a powder laminating line for particularly light, elastic and breathable fabrics. 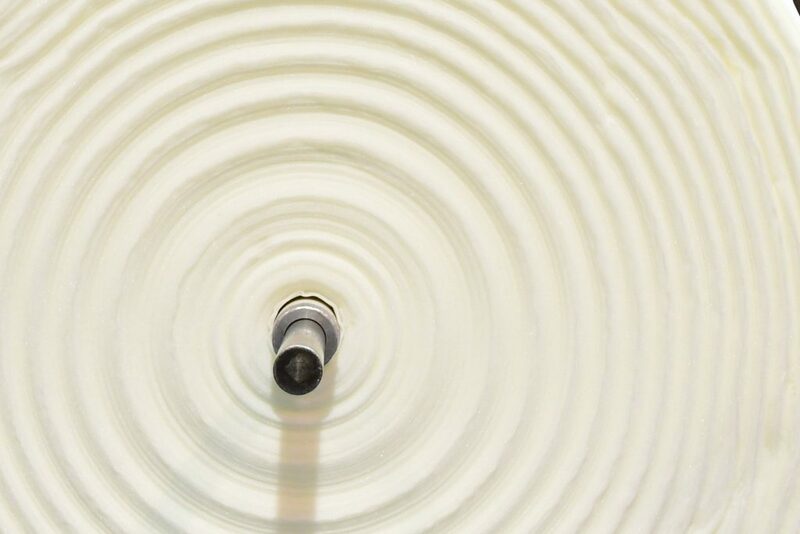 Tell us what your needs are. 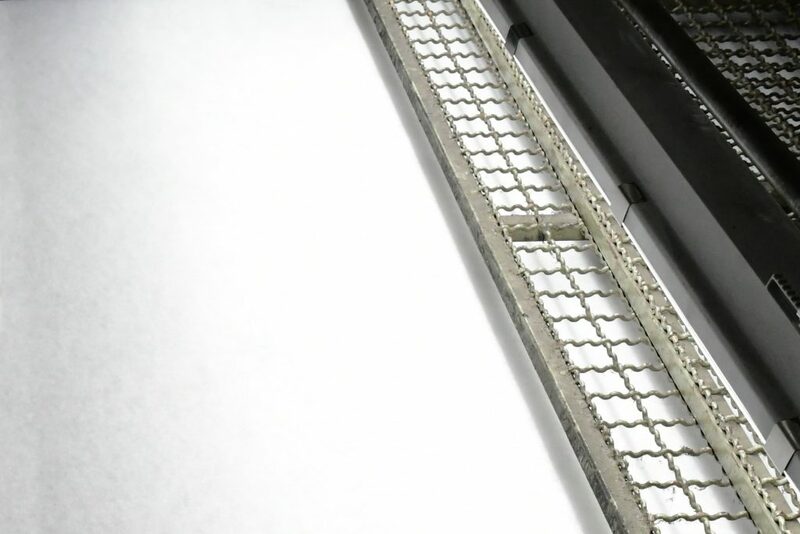 We will know how to help you!